DO confirm your guest list first – it’s awkward if you’ve given save the dates to people you then can’t invite to your day! DON’T send them before confirming your date with all your key suppliers – not just your venue. You don’t want to have to change your date because you’re church or registrar isn’t available. DO check your wedding party (parents/bridesmaids/groomsmen) are all available before putting save the dates in the post. DON’T put off sending them once everything’s in place – it’s surprising how quickly guests get booked up in wedding season! 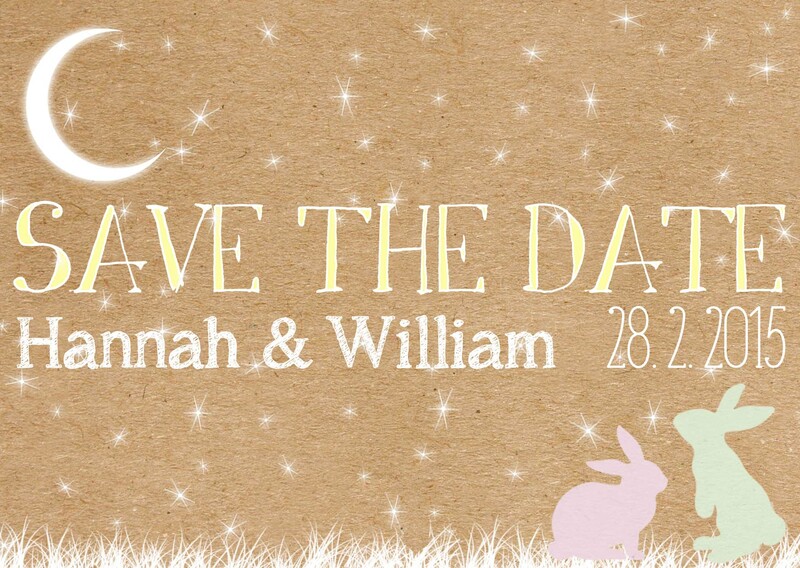 DON’T spend a fortune on your save the dates if you’re on a budget – try a free customisable printable from weddingchicks.com. DO think outside the box – you can buy anything from mini chalkboards to printed balloons to spread the word! Fridge magnets are a great idea as guests won’t lose them! DON’T include too much detail – all guests need at this point is the date and possibly the venue and time if you have them. DO consider older guests who aren’t online if you go for an emailed save the date – send a handwritten letter, which they’ll love!